A little over a month after the Sixers waived shooting guard James Anderson, reports have surfaced today that the former Oklahoma State product has signed with Lithuanian basketball club Zalagiris Kaunas. The move comes after Anderson set career highs in games (80), starts (62) and points per game (10.1) in 2013-14 with the Sixers. 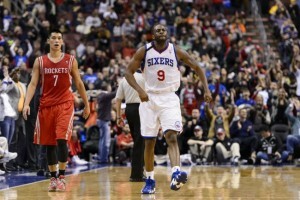 Shooting guard is the biggest question mark position for the Sixers next season. It looks like Hollis Thompson and Jordan McRae are currently leading the running for the starting job, while Tony Wroten has an outside shot. Thompson replaced Anderson in the starting lineup for the majority of games down the stretch last season. Anderson is the second U.S.-born player to join the Lithuanian club in the last week. The team signed another former Sixers guard, Maalik Wayns, on July 30. 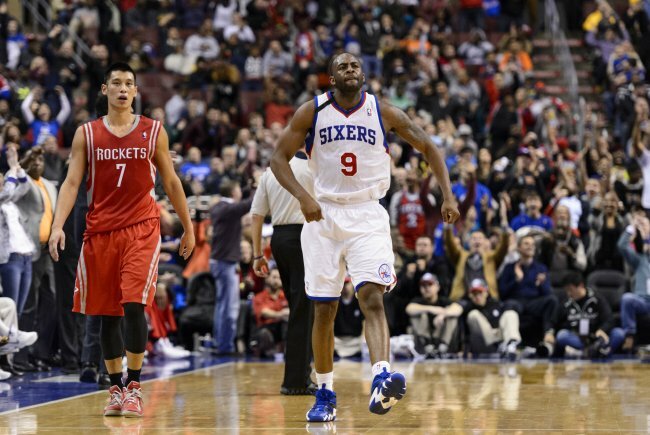 Anderson’s best performance with the Sixers and possibly of his career was a 36-point outburst last season in an overtime win over his former team the Houston Rockets. Anderson was selected with the 20th pick in 2010 to the San Antonio Spurs where he spent nearly three seasons. He was named the Big 12 Conference Player of the Year that same year.